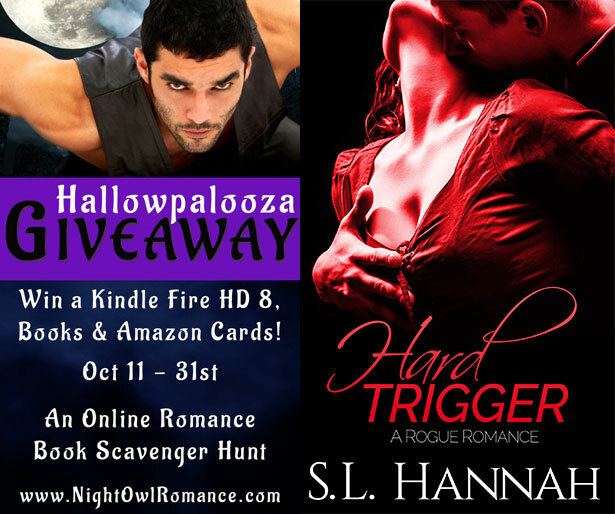 In the spirit of Halloween this month, I’m participating in the Night Owl Romance Hallowpalooza Scavenger Hunt. This is a super fun online book event with TONS of prizes; Amazon gift cards, romance books AND a Kindle Fire HD 8 w/Alexa. Check out Hard Trigger and all the other fabulous new books. If you’re itching for some new reads, this is the prefect event to enter and participate in.